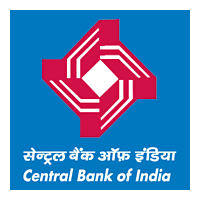 Central Bank of India Jobs Recruitment Notification 2018.Central Bank of India inviting applications for the positions of FLC Counsellor, Faculty.Interested and Eligible candidates can apply for the positions. Last Date for Submission of Application is on July 15th, 2018..
1. Essential: Graduate / Post Graduate degree from a UGC recognized University. Desirable: Officers with rural development background i.e. Agriculture Finance Officer / Rural Development Officer / Agriculture Officers converted to Mainstream of banking / Lead District Managers and Counselor leaders / Counselor members of Training Centres / Colleges with specialization in Rural Development etc. shall be preferred. 2. Experience / Other eligibility criteria: Candidate should have retired on VRS or on attaining superannuation with minimum 20 years of service of which at least 15 years in Officer Cadre. He should have worked as Branch Manager in any scale in a rural branch for at least 3 years OR as AFO (Agriculture Finance Officer) in a Rural Branch for a period of 3 years. He should have unblemished record and possess satisfactory service certificate from the previous employer. Should be well conversant with local language. Should have retired from Scale-II & above for FLCC. 3. JOB PROFILE: The Officer will work as “Counselor- RSETI” and have to oversee the overall functioning of RSETI. 4. Pay & allowances: Rs. 15,000/- p.m. whichever is lower Further a lump sum amount of Rs. 500/- p.m. shall be paid towards Mobile, Conveyance etc. However, the condition of “Last Pay & Allowance drawn by the Officer less the initial amount of pension fixed before commutation plus relief etc. 1. Essential: Post-graduate viz. MSW/ MA in Rural Development/MA in Sociology/Psychology/B.Sc (Agri. )/BA with B.Ed. etc. Shall have a flair for teaching with Computer knowledge. Desirable: Retd. Bank Official with working experience as officer and candidate having experience of working as Faculty, Rural Development with qualification stated above, will get preference. 2. Experience / Other eligibility criteria: Should be well conversant with local language. Should be resident of the same State, preferably same or nearby district/residing at the head quarter of RSETI centre. 3. The contract amount shall be fixed at Rs.12000/- per month. 4. Job Profile: The functioning of the Faculty shall be broadly to assist the Director in conducting Training and Awareness Programmes, Generation of Application & Selection of Candidate, Preparation of Annual Action Plan, Logistics for Training Programme, Handling Sessions, Preparation of Notes and similar other activities of the centre. Eligible candidates have to submit their applications in the given format (Annexure----). Last date for receipt of application is 15th July 2018. No applications shall be entertained beyond the stipulated date. Incomplete applications will be rejected. Address the application, Super scribing “Application for the post of Recruitment as Faculty of CENT RSETI- Jalgaon on contract” to ‘Senior Regional Manager, Central Bank of India, Regional Office, P-63, MIDC, Satpur, Nashik-422007’.